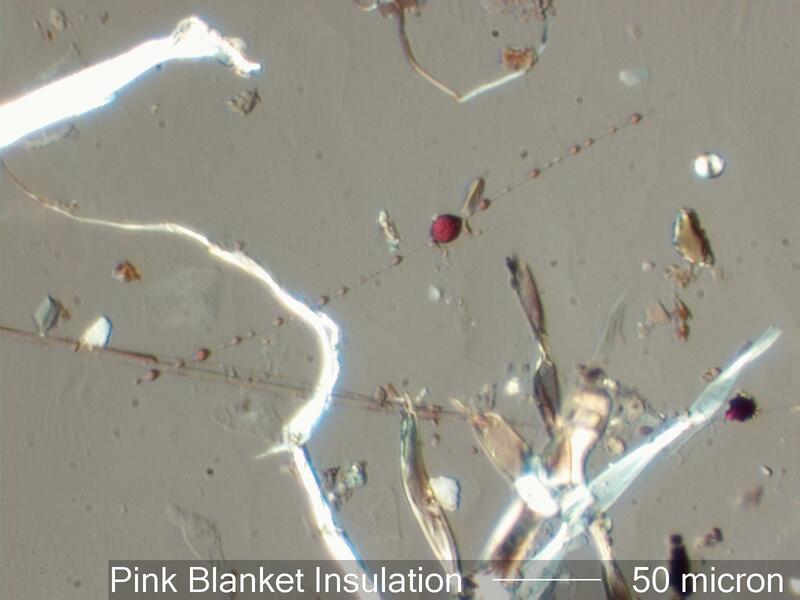 The glass fibers from pink blanket insulation are near the center of this photograph. There is one fiber lying in a Southwest-Northeast orientation with a number of pink resin globules along its length. There is another set of two fibers in the low half of the photograph lying in a Northwest-Southeast orientation and passing through the left border of the field of view. Pink resin bonds these two fibers together. This is a sample from an indoor environment that had been recently remodeled.